Vacation is a time of bright impressions and positive emotions. To many, choosing the best camera for vacation isn’t easy. My job here is to help you make an educated buying decision based on your budget, trip situation and discuss the pros and cons of each product. Before we move on, here’s a quick overview of what to expect in this post. Fuji FinePix XP120 – Cheap sporty camera for vacations with kids (under $150). 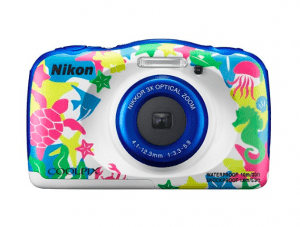 Nikon COOLPIX W100 – Waterproof camera for family vacations (has kids’ menu). Canon SX610 HS – Best cheap compact camera (able to create a video digest). 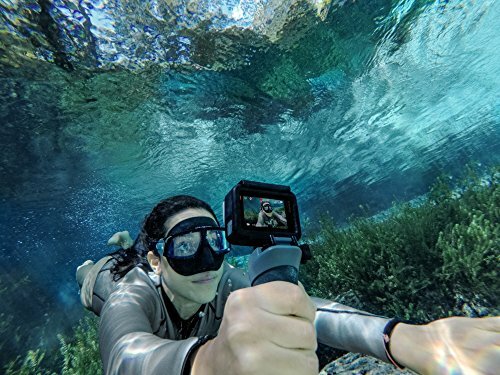 GoPro HERO6 – Waterproof action camera for adrenalin lovers (under $400). 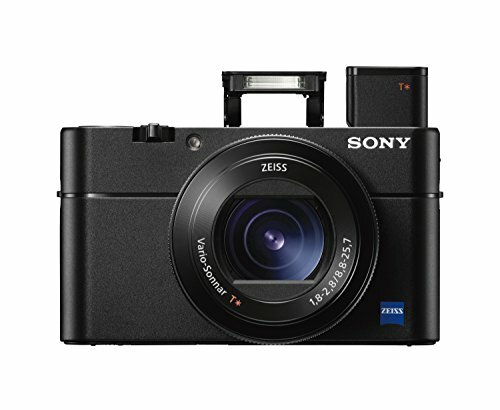 Sony RX100 V – Pocketable large sensor compact with Ah!-mazing capabilities. 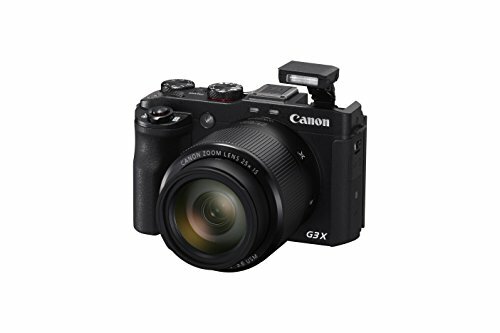 Canon Powershot G3 X – Best waterproof bridge camera for travel in 2019. Canon Rebel T6i – Budget DSLR to improve your photography skills on a trip. Nikon D5500 – This Nikon will be your faithful companion in any journey. Sony A6000 – It’s hard to imagine what the Alpha 6000 couldn’t do. Seriously. awesome camera options for kids as well. Alright, let’s get into details. Vacation time sure is awesome. What if you are going on vacation with super active kids? In this situation, you might want to get a pretty cheap, yet good, camera with waterproof and shockproof durability. This is one of my top 2 products for family vacations with kids due to its durability feature. Fujifilm FinePix XP120 camera is equipped with BSI-CMOS sensor with a resolution of 16.4 megapixels and a 28-140mm f/3.9-4.9 lens. These focal lengths should be enough for the vast majority of scenes that will be during your vacation time. The minimum aperture values and the small size of the sensor don’t allow you to shoot quickly and accurately in the dark, so you’ll have to use flash. The maximum ISO is 6400 (only at lower resolution/small image sizes). If I’m completely honest, you wouldn’t want to go above 1600 anyway. If you want to avoid image noise. It’s enough for an average of 200 pictures in auto mode. If this is not enough for you, you can safely buy another NP-45S battery and increase the number of frames. 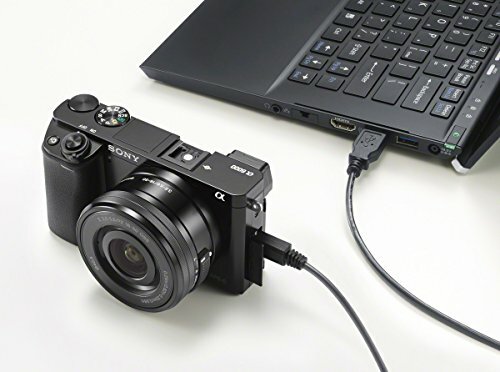 Note: This camera can be charged by USB and you can recharge it in a cafe, car, or in a backpack from the power bank. Even though it’s a cheap compact, there are a few things you’ll like about it. And the kids can certainly use it too. What’s nice is that even with flash the camera keeps the natural colors of objects under the water, which means that you will have pretty detailed images. In low-light conditions or indoors, the detail of the image is expected to be worse and getting a clear image becomes more difficult. Using a standard flash paired with the autofocus will help to take a clear shot. 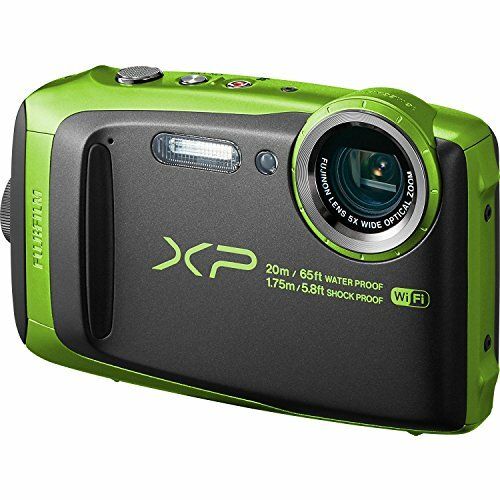 Fujifilm Finepix XP120 is a pretty reliable camera for vacation in a sense that it’s shockproof and waterproof. That’s why it can be given to children and not be afraid that they accidentally drop it. Actually, it seems that this camera was made for this particular purpose. Built-in Wi-Fi definitely makes your life easier. If you like sports design and need a camera for vacation with kids, Fujifilm Finepix XP120 might be a good choice for you. 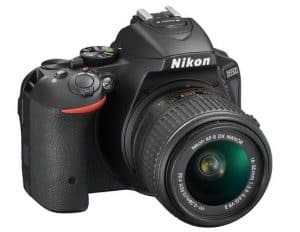 Nikon Coolpix W100 made my list of the top rated Nikon cameras for 2019, due to its super low price tag and it being an optimal camera for family vacations (especially with the kids). Why is this compact great? … while retaining all its technical capabilities. Being able to work in difficult conditions is a distinctive feature of the Coolpix W100. Even though this camera is waterproof, here is what you need to know. Basically, it will guide you through that water doesn’t get into the camera when you’re using it underwater or during bad weather. Battery compartment requires a two-step unlock process so that you don’t accidentally open it underwater, or when anything else that may get inside your battery compartment. 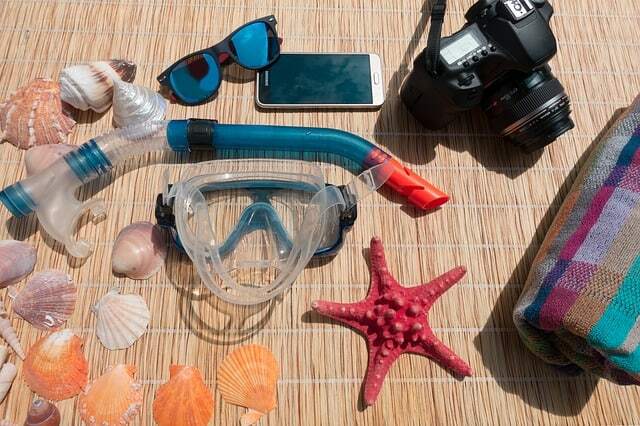 Make sure to follow the guidelines closely to avoid any issues while shooting under the water! Coolpix W100 is a family camera which implies the ease and convenience of management by any family member, including a child. I mean it literally has children’s and adult menu. The children’s menu allows your kids to take pictures in a game manner, with animated characters on the screen, and they can put colorful stamps on already-taken shots. and a floating camera strap. Just because there are cheap options, no one wants to have bad image quality. and a CMOS sensor with a resolution of 13.2 million pixels. In other words, this is quite enough to adequately capture the vacation or any other important event in your life. Also, this camera has an HDMI output, which means you can view your images and videos on the big screen. However, Nikon’s SnapBridge App provides a better opportunity. With this application, available for Android and iOS devices, your camera automatically syncs with various mobile devices. Wi-Fi connection allows you to view pictures and manage the camera in real time. As I mentioned earlier, this camera costs less than $200 and obviously you shouldn’t expect the level of quality as if you were to take photos with a DSLR. Instead, this camera is used in situations where other cameras give up. Moreover it’s best to use as a family camera on vacation with your children. Your kids will definitely enjoy the children’s menu available on Nikon W100 and you will never have to worry to get it broken. For those of you who often go on vacation as a family and prefer adrenaline-filled trips, this camera is gorgeous. Canon PowerShot SX610 HS is one of the best Canon compact digital cameras overall. You have an excellent opportunity to diversify your blog or social media page with beautiful pictures taken during your vacation time. This Canon baby is a good everyday companion. Being a pocket size with a weight of less than 200 grams, it definitely will not weigh you down. …is suitable for both landscape and subject photography. Surprisingly, it has a decent autofocus at any focal length. PowerShot SX610 HS has an optical image stabilizer, which promises less blurry images made in low-light conditions. This camera both fully auto and program mode of operation. In addition to automatic and program modes, the camera menu has a hybrid auto mode and a creative shot mode. In the hybrid mode, photography produces small video clips, which are then automatically pasted into one large video clip. And at the end of the day, in addition to photos, you can see an interesting video digest of your adventures. Here’s how to switch shooting modes. Canon PowerShot SX610 HS has a lot of great features to share despite it being around the $200 price tag. Into 3rd quarter of 2017, GoPro surprised us by releasing a good action camera. I think this one might be something you won’t regret spending money on. First of all, the main feature to point out is that it’s waterproof (up to 10m) without needing to add an external monitor. Along with the camera, GoPro has released several new attachments. One of them is “Shorty” which is a sleek and portable mini-extension pole and tripod, ideal for all your on-the-go activities. If you were off to some Caribbean island for vacation, you will definitely want to take a beautiful selfie underwater! The good thing is that GoPro company learned their lessons from previous camera releases and improved many things that can be seen in Hero6. less noise when shooting in the dark. By the way, my advice would be to use ISO 1600 if you want to avoid too much noise in low-light conditions. Anyway, this GP1 processor is able to analyze information from the built-in GPS sensor, accelerometer, gyroscopic camera stabilizer and microphones. Then, it uses this information to help the Quik application create a video content without user intervention. In terms of its image stabilization it’s better than that of Hero5 but you can’t still compare it to OIS (optical image stabilization). The sound is rather average. There is a RAW sound recording mode, in which a separate wav track is created. In practice, the quality doesn’t undergo any significant changes. Also, in the settings you can turn on software protection from the wind. serious videographers, for whom it is important to get the best video quality in action. Unfortunately you won’t be able to save on this camera. As of today GoPro Hero6 is the most expensive action camera on the market. (Definitely under the $500 price tag, though). Is it worth buying still? But if you still need a cheaper alternative, consider Hero5 instead. At first glance, the updated flagship GoPro HERO6 looks like a technical upgrade of its predecessor. In reality, the sensations of its use are radically different. What I mean is that thanks to the new stuffing and the powerful GP1 processor, the comfort of using HERO6 Black can be compared to full-frame DSLRs. One of the main innovations is the mobile application QuikStories for fast editing and processing of clips. With it the publication of your adventures becomes a matter of minutes. This baby, Sony DSC-RX100 V, weighs less than 300 grams, including batteries and a memory card. But its capabilities are amazing! This Sony falls into the segment of large sensor compact cameras (that has a 1-inch sensor and 20MP resolution). It also has an outstanding 24-70 mm f/1.8-2.8 lens. This means that you get great image quality. You’ll have an easier time taking photos in low-light conditions and have a nice bokeh (blurry background). Despite its rather small body, it is comfortable to hold this camera, and have all the necessary settings at hand. Convenient to shoot both in auto and manual modes. As you can see, Sony DSC-RX100 V has 3-inch tilting LCD. It’ll certainly help with high-angle and low-angle shots. Given its flip screen and powerful photo and video capabilities, Sony RX100 V is an excellent choice not only for selfie lovers, but also for vloggers. A video recording in 4K format with a frequency of up to 30 frames per second is available. Battery can be charged via the micro-USB port (including the power bank). This way you won’t need to take a separate charger for your vacation. Sony RX100 V has a high-quality sensor, the most modern focusing system, a high burst rate and outstanding video capabilities. Not bad for a pocket-size camera! (Probably best NOT to choose this camera if you are on vacation with the little kids though). The main disadvantage is the high price. But be sure that this camera will NOT disappoint. There are some advantages to taking a DSLR camera instead of a simple point-and-shoot camera. In a nutshell, DSLRs have a better sensor, a faster processor, and have a higher burst rate, which is important, for example, when shooting high waves from the beach. Finally, it is impossible not to mention the quality of color rendition of DSLRs vs those of point-and-shooters. That’s why I decided to include them in this list. So let’s have a look at the first option. 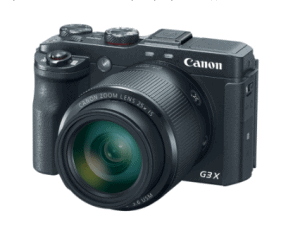 Even though this category says SLR cameras, Canon PowerShot G3 X really is a bridge (SLR-like) camera. Small cameras with a sensor that can provide high quality images are trendy today. The optimal sensor size is 1 inch, which is much more than those of smartphones and simple compacts. An advanced G3 X has that kind of sensor. The resolution is 20.9 megapixels and the images are processed by a modern DIGIC 6 processor. These two together provide an ISO sensitivity in the range of 125-12,800 ISO units. Thanks to its capabilities and convenience of control, this bridge camera can compete with serious bulky DSLRs. It has both auto-modes and classic semi-automatic and manual modes, the parameters in which it is easy to adjust due to well-thought-out ergonomics. There is also a convenient dial of exposure correction, with which you can easily make the frame brighter or darker. There are a few reasons why I would mention this Canon as one of the best ones for vacation. With a fully charged battery, you can make about 415 photos. Dust and moisture protected, which increases its reliability when shooting on a trip. Generally speaking, the only limitation with compact cameras is the lack of its ability to change lenses. However, you shouldn’t worry about that with Canon PowerShot G3 X. It is initially equipped with an excellent 24-600 mm lens. (You can easily shoot landscapes with a wide viewing angle). Since it has 25x zoom, this mean you can also take images of very distant objects. For mirrorless and DSLRs it’s a dream. In the case of Canon G3 X, this dream camera is small enough to fit in the palm of your hand. Since we mentioned zoom here, it’s also important to mention that this camera’s does have an image stabilization built-in. In case you don’t know, stabilizer will insure the photographer from blurry pictures, which is especially useful when shooting at a large zoom and in low light conditions. As you can see from the image above, Canon G3X has a tilting touch screen. Besides that thanks to the Multitouch function, you can zoom in and flip through images, like on a smartphone. Just like with many modern cameras, G3X is equipped with Wi-Fi and NFC modules, thanks to which you can transfer photos to your smartphone and immediately post them on Instagram. Thoughts: An AWESOME Camera for Vacation! Quality APS-C mirrorless (hybrid) cameras get cheaper, but the “advanced” compact ultra-zoom cameras don’t. That is, the solution itself in the form of Canon G3X is relatively expensive and bulky compared to the usual point-and-shoot camera sizes, but it is completely universal and self-sufficient. As a travel zoom, I’d say the Canon PowerShot G3X is a great choice. And it will be good for vacation pics too. 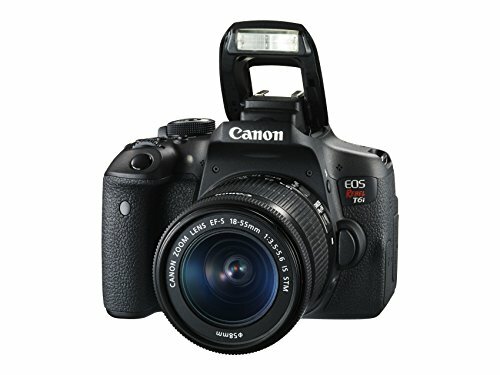 Since the release of the Canon EOS Rebel T2i (EOS 550D) and up to EOS Rebel T5i (700D), there weren’t any serious innovations in this camera line. The DSLRs kept inheriting the same sensor and the same AF sensor. But finally, Canon fans saw an upgrade with the entry level SLR camera EOS Rebel T6i (or EOS 750D outside of the US). The updated CMOS sensor has a 24 MP resolution. Together with the new sensor works DIGIC 6 processor. Even though DIGIC 6 may be well-familiar to photographers from the professional camera models, it was installed in the entry-level DSLR camera for the very first time. This processor provides good picture clarity and minimizes noise even at high ISO values. Images at 6400 ISO are of very good quality. Not over-saturated with noise, eating up the detail. (I don’t advise to go above ISO 6400 unless there is absolutely no other way and pictures will be stored only in your personal album). With the right sports photography lens, Canon T6i is a great low-end camera for sports photography. But even greater improvements have been made to the phase detection autofocus used for shooting through the viewfinder. Instead of the 9 autofocus points that have become accustomed to the amateur camera series, in this camera we will use 19 of them. All points are cross type and they cover a large area of the frame. This means that when shooting, you can manually select not only individual points, but entire groups. In the past, only a camera of Canon EOS 70D level could boast about such autofocus. Other things you will like about this camera are tilting LCD and the camera having Wi-Fi and NFC to perform remote shooting with your smartphone, as well as transfer the images to your phone. Canon EOS Rebel T6i (EOS 750D) has received a lot of improvements in comparison with its predecessor, which makes it a very tasty purchase. The camera will be an excellent choice for a beginner photographer. It will be a great camera not only on vacation. If you want to improve your photography skills while on a trip, T6i is the one to choose. I will be short here. … all make the Rebel T6i a very good investment in your photographic future. Read The Full Review of Canon Rebel T6i. This section will offer a more compact and budget DSLR for travel purposes. My recommendation here is Nikon D5500 with the 18-140mm f/3.5-5.6G ED lens which together will weigh about 910 grams. Now, if you want a more compact version, then choose a less heavy lens. For example, a noticeably more affordable lens is Nikon 18-55mm f/3.5-5.6G with a smaller zoom (see image below). However, I believe Nikon D5500 with Nikon AF-S Nikkor 18-140mm f/3.5-5.6G ED VR lens is more impressive. As how it’s supposed to be with DSLRs, this model is equipped with a large APS-C sensor with a 24MP resolution. The design of the sensor allowed to remove the low-pass filter, which means that the frames are clearer and even more detailed. You can assemble your kit yourself, choosing the appropriate lenses and saving (buying a camera and lenses separately will be more expensive). In my opinion, the most versatile lens is the 18-140mm f/3.5-5.6G lens. as well as for portrait photography. The lens has a built-in image stabilization system, which will let you capture sharp still images. Tilting touch-screen will definitely make your life easier, whether it is to shoot the video, navigating the menus or viewing the shots taken. What I like about Nikon D550 is that it has all the necessary auto modes and scene programs. The camera is easy to use, but at the same time it pushes the photographer to be creative and improve his/her photography skills. Manual settings are easy to set up too thanks to smart ergonomics. Another huge advantage is camera’s long battery life. One fully charged battery will allow you to capture about 820 pictures! For those who are new to photography, the Nikon D5500 will be a real godsend. Accurate and confident work in auto mode will create high-quality images even in the hands of inexperienced amateurs. The presence of built-in filters make it possible to process your images without using your computer. It could be said that this camera is pretty universal. It is equally suitable for most photographic genres, stably producing a quality picture. In short, if you appreciate high-quality images and are not afraid of somewhat large-sized photography equipment, then the Nikon D5500 will be your faithful companion in any journey. After a long “dialogue” with the camera, you’ll realize that Sony A6000 is a mirrorless camera that is absolutely not inferior in functionality to most DSLRs on the market. Being the representative of the family of cameras with 4D-focus (the standard of quality of autofocus at Sony), this model provides really fast and accurate focusing, including in tracking mode at a shooting speed of up to 11 frames per second. Working with autofocus (in particular, with the choice of the focus area) is very different from other cameras: it implies a greater confidence in auto mode shooting. However, give it some time. After spending a few days mastering the camera, you’ll start to feel free and comfortable: the auto mode forgives you your many mistakes, and allows you to shoot quickly without thinking too much. The quality of the images is high both at low and high ISO. You will have no problem shooting at ISO 3200 inclusive. As for shooting static scenes, multi-frame noise reduction (NR) works great. 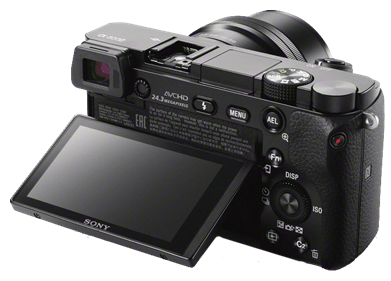 Like many other Sony Alpha cameras, the A6000 supports apps. The apps significantly expand the functionality of the camera, for example, enable you to create photos and videos with interesting effects without using computer and complex processing. Also, extremely convenient is the remote shooting using a smartphone. The application actually allows you to remotely change all the basic shooting parameters. and the absence of a separate charger in the kit. (The battery can be charged only in the camera via USB or buy a charger). Alternatively, you can consider newer version: the a6500. Just like with Nikon D5500, Sony A6000 is an excellent camera for an enthusiast photographer. The functionality of this model, despite its extreme compactness, many times exceeds the capabilities of most cameras in this price range. It’s hard to imagine what the Sony A6000 could not do. If you like to travel light and enjoy taking selfies, then this option is definitely for you. And it will only cost you around 10 bucks! In this section, I decided to mention something that you already have to take pictures on vacation. 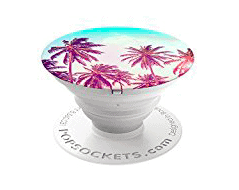 But there is a game changer now – popSockets. Usually, the problem with your phones is that when you are taking images, it’s kind of shaky and feels like will fall out of your hands. When you using a PopSockets, you will have a better grip using your one hand. Another benefit of using a PopSockets is that it folds down, so whenever you put your phone in the pocket, people wouldn’t even notice it. Smartphones these days have image stabilization built-in and with the PopSockets, you can also walk around and create pretty awesome videos which can later be published on your Instagram or even YouTube channel. What to Look for When Buying a Vacation Camera? When you are looking for the best camera for vacation/trips (with kids), it is recommended that you pay attention to the following key parameters of the camera. You don’t want your kids to accidentally break an expensive digital camera. Sometimes, it’s worth getting a cheap “family” camera. We will be shooting not only on the sunny beach, but also in the museum, on excursions, during night walks around the city, which means that you will have to have a large sensor. With a good zoom lens you can shoot portraits, landscapes, and distant objects. If you like excursions and spend a lot of time away from your vacation “home”, then you need to consider having a long battery life. It is especially convenient when shooting from non-standard camera angles, for example, in situations when you need to keep the camera above your head or closer to the ground. On any display it is difficult to see something under the midday sun of tropical islands. And in the viewfinder you can see your images perfectly. 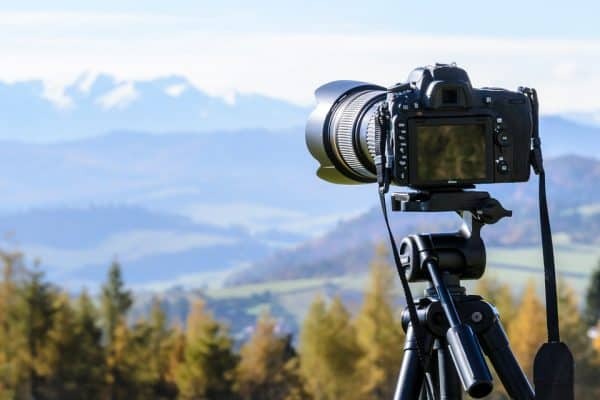 These parameters are recommended to look for and you should always consider the vacation situations that you usually have before buying a camera. Of course, an SLR camera shoots better than any point-and-shoot camera. It’s not even about the lens. It’s just that the SLR cameras have a better sensor, a faster processor for processing frames after the shooting, and has a better burst rate, which is important, for example, when shooting high waves from the beach. With the SLR camera you can take decent pictures indoors without a flash and this quality will be quite enough for you to publish on your travel blog or Instagram. It’ll probably be hard to believe, but it’s possible to charge your battery only once during your entire week or two of vacation. Well, depending on how often you shoot of course. On the other hand, the screen is not used during shooting, the picture is caught through the viewfinder, and this is a tremendous saving of energy. After all, your vacation is all sunny and bright. The sea, the mountains, palm trees and flowers – you will want to capture the natural beauty of life immediately. And the higher the quality, the better! One of the disadvantages is that you will constantly have to carry your camera with you. If you are enjoying your vacation in some resort place, it won’t be safe to leave it in a hotel room. Not only will you have to carry it with you everywhere but you will also have to take it out of camera bad and put it back in. Finally, in order to get a quality image you have to shoot in manual mode, adjusting the shooting parameters. Now, imagine if you are on vacation with little kids, who require to be constantly watched. This won’t give you much time for adjustments. In this situation, for vacation trips it’s probably wise to get a point-and-shoot camera that may not be too cheap but compact enough to fit your pocket. Any compact camera is way smaller and lighter and will allow you to take more photos overall. You won’t even need a camera because most of them are designed to fit your pocket. Point-and-shooters only have auto mode that’s why it will be more of a for fast “cowboy” shooting: took out and took a shot! Of course, the quality of the images won’t be super great but you are not capturing moments for commercial purposes. In fact, if you are on vacation with the little kids, you won’t simply manage to do your photography job properly. And finally, if your camera ends up being broken or stolen, you’d be sorry less if it was a cheap point-and-shooter than if it was an expensive DSLR. What quality of images you can get with DSLRs, you won’t get that quality with point-and-shooters. See, digital compact cameras have less dynamic range of the sensor. This means that one thing or the other on the images will be expressionless/less vivid. Often types, the battery of such cameras can let you down when you least expect it. So, if you are on vacation with the kids, having a compact camera will be more convenient, and you will be able to take more images, even if they are of lower quality. However, if you see something amazingly beautiful, you will not have a decent image with a point-and-shoot camera. For a good photographer this is almost unbearable. That’s what could be said about DSLR vs compact cameras on vacation. Of course, you decide what camera you want to take. Ideally, you’d want to take both. Fujifilm FinePix XP120 – Shockproof and waterproof camera for family vacations. 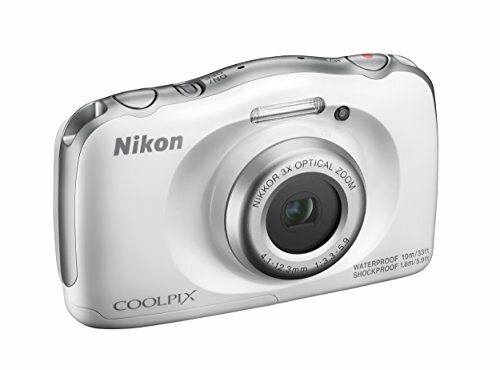 Nikon Coolpix W100 – A family camera that the kids can use too. Canon PowerShot SX610 HS – A “Swiss knife” in the world of cameras under $200. GoPro HERO6 – Great action camera to capture your extreme adventure holidays. Sony DSC-RX100 V – A pocket-size baby with Ah!-mazing capabilities. Canon PowerShot G3 X – As a travel zoom camera, G3 X is a great choice for 2019. Canon EOS Rebel T6i – Sweet camera to improve your skills while on a trip. Sony A6000 – It’s hard to imagine what the Sony A6000 could not do. Seriously. And if you are a beginner in the world of photography, I highly recommend you check out our top 10 list of the best entry-level cameras for 2019. Over To You: Your Thoughts? I hope you enjoyed this list of the best vacation cameras in 2019. What your favourite to take on a trip? Any particular type when travelling? Which camera you liked most out of this list of the best cameras for (family) vacation? Any questions? Concerns? Suggestions? Let us know in the comments below! Thanks for this refreshing article, it’s great that you categorized the cameras and why/in which situations each camera would be best for vacation. Most of the articles I’ve seen focus on selling high-ticket cameras without thinking it through, or they focus on TRAVEL, not vacation. And I agree with you, there is a difference between travel vs vacation. I’ve been contemplating getting Canon EOS Rebel T6i as my entry-level camera. What are the best lenses for Canon T6i in your opinion and why? Hi Pamela. That’s a great question. This lens can boast about having stabilization and the “STM” mark, which means the technology of its focusing mechanism is based on the use of a stepper motor. In short, there is no more terrible noise when focusing. A perfect fit as a first camera lens. A similar lens, only with a wider focal length. Suitable for all occasions. If the focal length of the kit lens is no longer sufficient, this one will be an excellent substitute. This lens is perfect for landscape photography, since it has a wide angle. It will also give an opportunity to see the familiar things in a new way. STM and stabilizer will make high-quality photos and shoot beautiful videos in almost any conditions. A good, compact fixed lens, which will make your camera look very elegant. The beauty of this lens is that excellent detailing of photos is obtained immediately from the most open diaphragm – F/2.8. And like with the previous camera lenses, the STM will reduce noise when focusing both when shooting pics and in recording creative videos. In my opinion, one of the best price/quality ratio lenses. Great for portraits, action, and nighttime photography. This is just my humble opinion on lenses but I hope it will help you choosing your best lens for your Canon camera. I actually used Canon PowerShot SX610 HS regularly whenever I went traveling. My parents travel a lot more than I do these days so I let them borrow it a whole lot. It was really great. In some cases, the difference between using the camera on my phone and an actual camera might not be all that noticeable, but this case certainly isn’t one of them! I am actually very impressed with the overall quality of your review, and how effectively you were able to talk about all of these models in so little words. 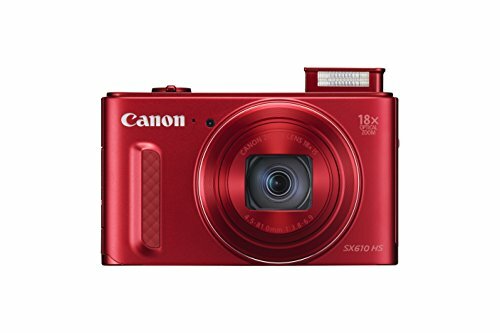 Indeed, SX610 is a sweet Canon compact camera, very convenient during the travels, or short vacation trips for that matter. We are lucky that these days you don’t need super expensive bulky DSLRs to take amazing photos and capture the moments of your life, whether in travels or not. Thank you for your kind words, I will keep up my good work. Great post. You did justice to truly providing value to your readers. I am not into cameras but i’m starting to think of it. I have saved your website link and will share with those that are interested in my network. Your reviews of the different camera options are very thorough, and provides the user with no reason to go else where for additional information. Although today smartphones have built-in cameras, your use of great visuals were fantastic and makes me want to actually buy a real camera based on the quality of pics possible.You covered virtually all aspects and identified the best cameras by use or audience; hence, giving the readers plenty of choices and options to pick from. I like the advantages and disadvantages you identified as well because these give the reader more information to make informed buy decisions, which is the intent of the post. Hi Akin, thank you for stopping by and leaving such a pleasant comment! I am really happy that my newly-built website on digital technology actually does provide help to beginner photographers. I will try to keep up my work and provide useful, quality content to my readers. You are right waterproof and shockproof capabilities are important when choosing a camera. Battery life I think is…a key thing that you look for. Canon vs. Nikon – probably the greatest debate in the world of photography now lol. Both Canon and Nikon, produce excellent DSLR cameras that provide fantastic image quality and similar capabilities. Because there are so many similarities between brands, many people think that it doesn’t matter which brand you will eventually choose. Personally, I believe that in the right hands either of these brands will show great results, but there are important differences between these brands that can influence your decision, which camera to buy. 1) Good quality in low light conditions. Not a lot of people will argue with the fact that Nikon as a whole has excellent photos quality in low light conditions than comparable to Canon cameras. Nikon uses in its cameras a larger digital camera sensor, which, even with fewer pixels, gives a clearer picture. 3) Number of autofocus points. Most people agree with me that most Nikon cameras have more autofocus points than their Canon counterparts. When you hold the camera in your hands, you will understand how important this is. It’s pointless to argue about this one, just go to Vimeo. Almost all the best videos were filmed by Canon. Nikon is beginning to gain popularity with 1080p video and a good autofocus system in the latest models, but it still lags far behind Canon in this aspect. Canon DSLR, offer a high frame rate. 2) The # of megapixels. Most photographers pay great attention to this, because it’s convenient to be able to work with a lot of megapixels. Canon usually is a bit ahead in terms of the number of pixels. When Canon announces the release of a new camera, you can expect to get it in hand within a short period of time. When Nikon announces the release of a new camera or lens (especially the more expensive models) it often takes 4 to 6 months. Honestly, these 2 brands are pretty similar it’s just depends on what exactly you are looking for, you will be able to make your decision. (By the way, other brands are great too, for example Sony is one of the leaders in the mirrorless camera market). 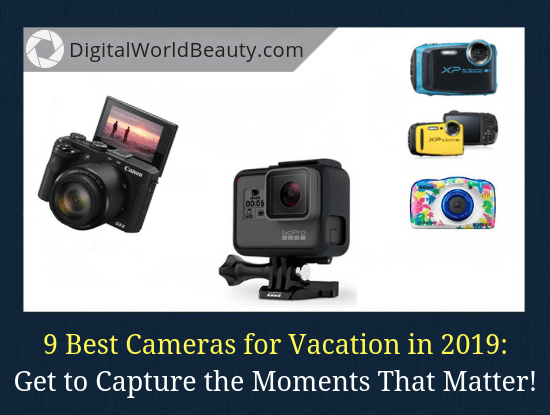 Thank you kindly for creating and sharing this article about the best digital cameras for vacation with us all, it is appreciated, thanks. I do actually own 2 or 3 digital ‘point and shoot’ cameras but this year, thanks to a lovely cash windfall, I am taking the family on a month long trip of a lifetime and I am seeing a camera to take better quality photos. Which one would you recommend for scuba diving/snorkelling? Just general underwater photography. Recommended underwater cameras for scuba diving and/or snorkelling is a pretty huge topic that will be covered in another article. For now, my team is working on a different batch of articles, but underwater photography cameras are definitely on our list. In the meantime, out of the aforementioned cameras, GoPro camera is pretty great for underwater photography. (And a popular choice too). If Hero 6 is a bit pricey for you, you can go for Hero 5 as a cheaper alternative. (Don’t worry, you won’t miss out on any significant upgrades). Also, you can take a look at Olympus Tough TG-5 camera: it’s waterproof, it’s freeze proof, and shockproof – basically, it can withstand any extreme conditions that few other cameras can. 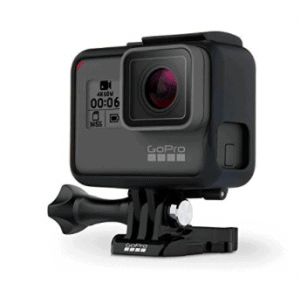 And it’s slightly cheaper than GoPro Hero 6, too. Beware though, that Olympus TG-5 has small battery life and that might disappoint you. GoPro is generally known as the best action camera, for people who love underwater photography and adrenalin. You have a lot of information here. Lots to digest. Question: what about Panasonic and Olympus cameras? Aren’t they good for beginners or as a vacation camera? Generally speaking, when I created this post about best cameras for vacation, I tried to pick different sets. My very first camera was Olympus E-PM1, probably the very first and the most plain mirrorless camera on the market (yep, I bought it a WHILE ago). I bought it in 2012 but didn’t manage to get along with it well. I took around 4000 images in JPG and I didn’t really enjoy the quality of the images. When quality smartphones came around, my Olympus just started to collect dust on the shelf cuz I enjoyed the image quality on smartphones better. Now I understand that it wasn’t really camera’s fault, it my fault thinking that auto mode will create brilliant pictures. Anyway, just before New Years 2018, I bought myself a new camera: Nikon D3400. Even took some courses but still didn’t manage to fully understand what is aperture, shutter speed and more importantly, HOW do I use it altogether. Been shooting in Auto mode and portrait mode, kept playing around with Lightroom program. Frankly, after my Olympus camera, D3400 simply felt enormous in my hands. Anyway, long story short, I ended up returning it back. I’m now in the beach, travel mode and am looking for a new vacation camera. WHAT DO I BUY?? I give preference to good auto mode and good image quality, without any special pro photographer tricks. My main 2 candidates for the moment are Sony a6000 and Olympus OM-D10, both are within my budget. Appearance wise I like Olympus, but Sony has larger sensor so the image quality should be better. Definitely will consider other options that you presented in this post. Basically, I just need a good camera with a kit lens (I won’t be buying any additional lenses for sure). Plan on shooting in raw and play around with Lightroom, I definitely enjoyed it. – and more importantly, great work in auto mode. Woah, rarely do I get such lengthy interesting comments, thank you! Anyway, sorry to hear about your unpleasant experience. Personally, I think Nikon D3400 is a great entry-level DSLR under $500. And I am not the only one who thinks so. But I understand that you don’t want to carry bulky DSLRs during your vacation time, so choosing a compact mirrorless camera will be a smart choice for sure. If you’re really picky about camera options, you could actually go to a photogear shop and test the cameras you like in person. This will give you perspective, if you want the Sony or Olympus. (Have a look at Fujifilm cameras for hybrid shooters as well). Fujifilm X-T20 for example, is twice as less in price as its flagship camera X-T2. And it’s pretty awesome too! (Our fuji review coming out soon). Unfortunately, I don’t have any Olympus reviews yet, but you can search other camera reviews here and then test them out at your local camera shop. Have you read my article on best large sensor compact cameras right now? (Ideal for travel and street photography). I know this is not very specific and not much but I hope I could still be of help. I feel that you’re the kind of person that really needs to test the cameras side by side, don’t be shy asking about it in the store! And only then you’ll be able to make a wise decision.